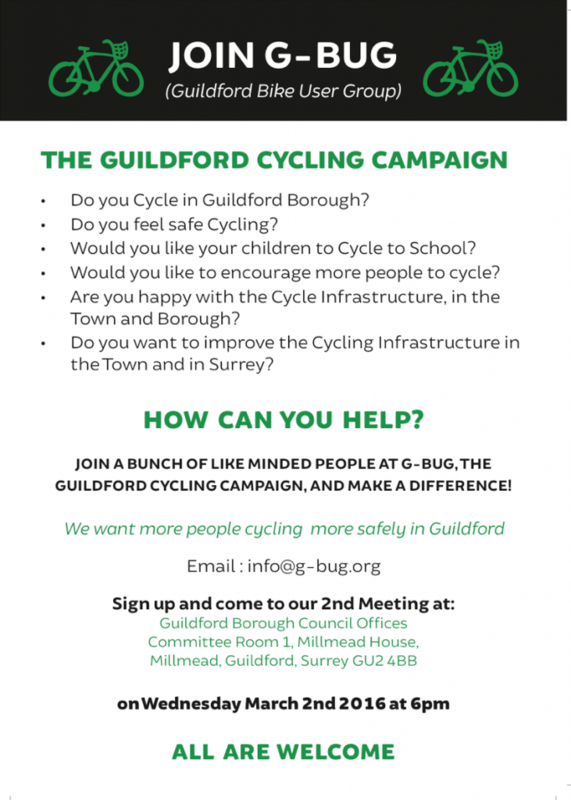 Do you want to join G-Bug – a new Guildford Cycling campaign? 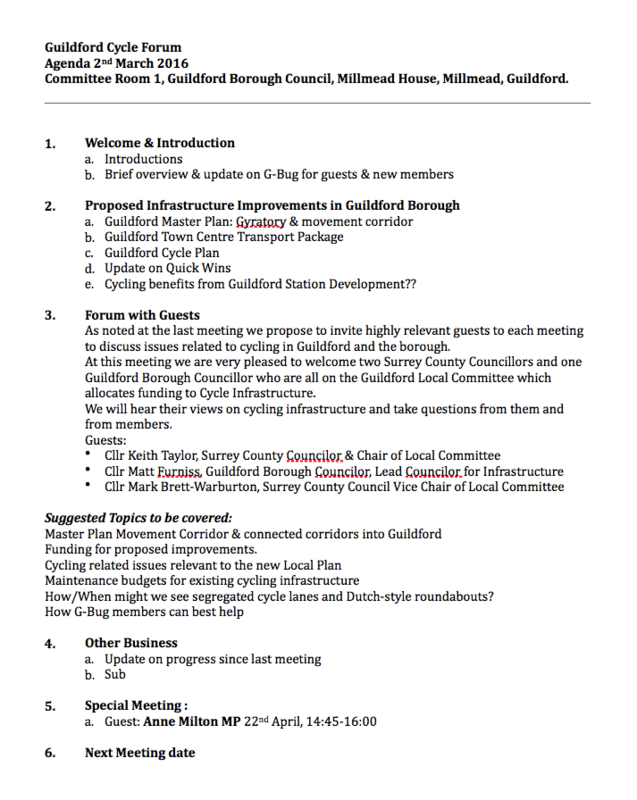 Meeting March 2nd at Guildford Borough Council offices. 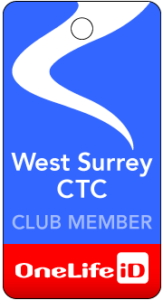 If you would like to attend please advise Doug Clare (07836 528723) so they have an idea of numbers.